Yes! Beautiful! Love the Luke in particular. Just because, well, OT. Great work! Wow your cover really stands out! It seriously looks a million times better. Great work. 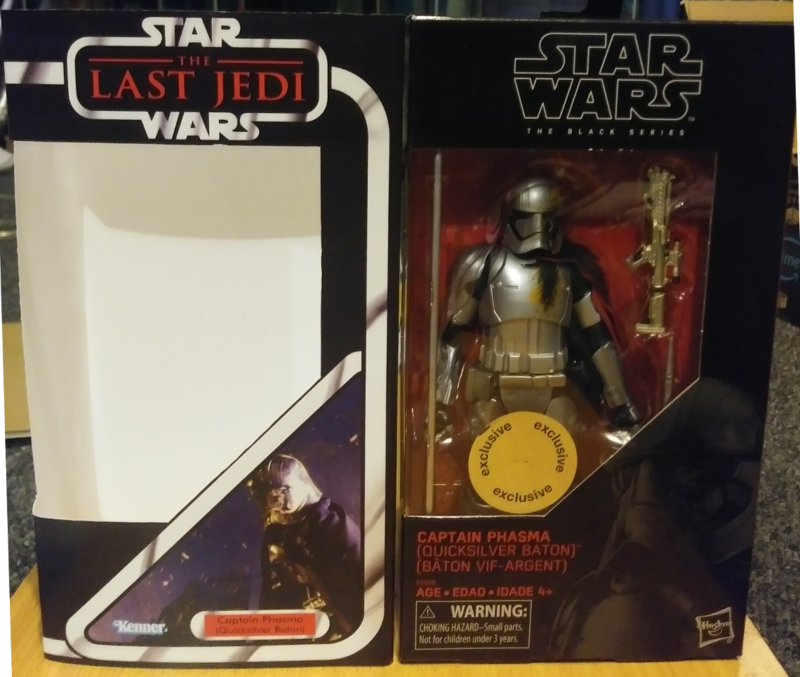 Perfectly illustrates how far off the mark Hasbro is with their black series design. What they seem to think is classy and sophisticated is actually bland and nondescript. Your design pops! Beautiful! Great collection, by the way. One suggestion for the backs. Which you may not like because it would cause inconsistency. 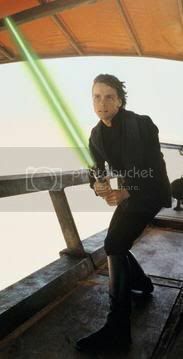 What about a light blue backdrop instead of yellow for the ESB figures listed on the back? I personally always liked the light blue better than the yellow, but that's personal preference. Either way, they look fantastico!! Thanks. Actually the shelves are custom made and it's only one wall. Along the top of the wall are Vintage Collection Figs as a trim. I'll be getting to ESB figs tomorrow or Wednesday (I've done all the sequel figs and just need 4 more ANH ones) and I'll give it a shot. Seriously impressive work, dangerlinto. Beautiful design and a marked improvement on the current presentation of the line. I'm envious of how awesome your collection will soon look on display! Ahhhhh! That is the Nostalgia I have been looking for. So I've finished all 76 figures in standard boxes that appear in the 10 movies. 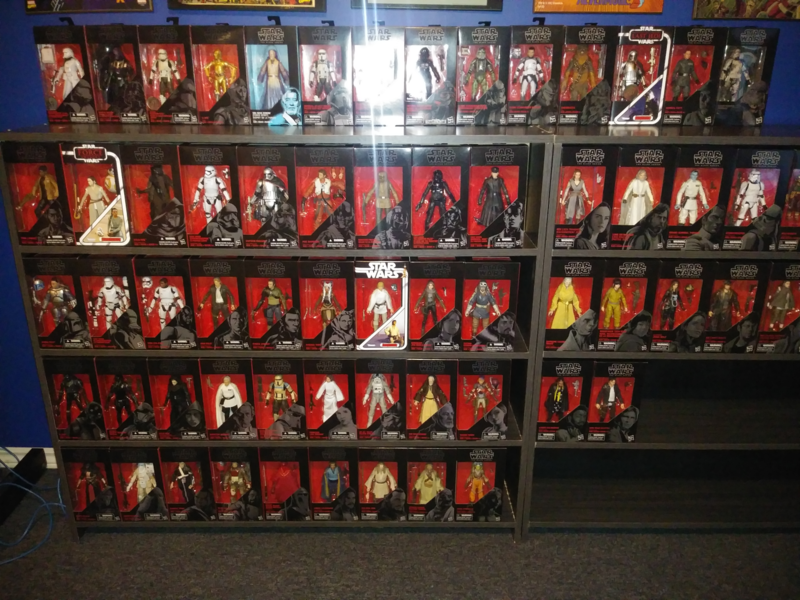 All that's left are the Clone Wars/Rebels and other oddities (like Battlefront figures and Revan and Jaina Solo). I'd actually looking forward to those the most so I've been saving them for last. So far, the only one I'm not happy with is the Qi'ra image - since Solo is not out and there is no high quality video, there is only one screenshot out there of the character in her Corellia outfit and the entire thing is blue. I did some color correction on it but it's not great. I will re-do it when the movie is available digitally. Also, I had thoughts of doing some of the larger boxes (Like the Gamorrean Guard which unfolded would be over 20" long), but it turns out that the cost of printing on anything larger than 11x17 is pretty astronomical, so I won't be doing it in the forseeable future. I will be offering these for people who want them. I'm not 100% sure how we'll send them - definitely we'll cut them, black the edges and fold them, but gluing the flap and just sending it pre-folder or just marking the fold lines on the back and allowing them to glue it themselves (regular kids gluestick works great) - I haven't decided yet. I'm thinking $5/cover and probably a large discount if you want the whole set (which right now is 90 covers!). Also if you get the whole set some kind of subscription plan on further covers for cheap. Chime in if you're interested just to let me know what you think of the plan or suggest one - i'm open to suggestions. Oh I’m in! Definitely love what you created and happy to support your hard work and talent. Totally agree if you have people buying the whole set then a bulk discount / future discount would be warranted and appreciated. For me personally I’d prefer them shipped flat. Just FYI I’d be down for remakes of the larger boxes too but one step at a time lol. 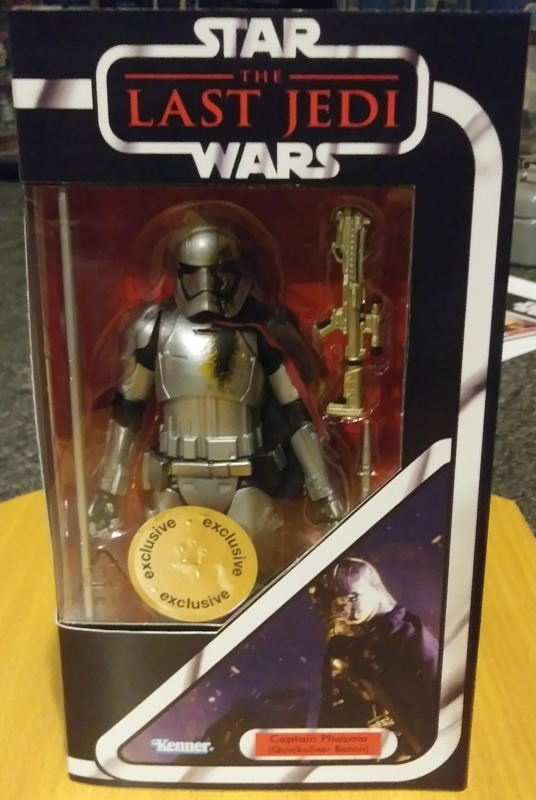 Can’t wait to add this to my collection! Amazing work! DAYUM. This is epic DL! Have u figured out what you want to charge for the set? Sent you a PVT message. I just printed out the set - looks gorgeous!